Peachy In Perry, FMCA’s 99th International Convention & RV Expo, will take place in Perry, Georgia, March 13 through 16, 2019. Per the convention’s peachy theme, the beautiful state of Georgia is full of farms and orchards for you to celebrate the Peach State. 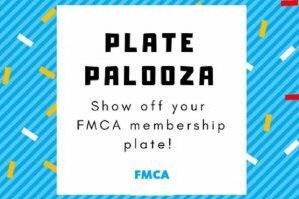 If you’re joining FMCA in Perry, here are a few “peachy” vendors for you to visit on your way. 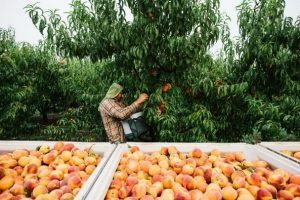 Read on for a listing of Georgia’s most famous peach farms and orchards. 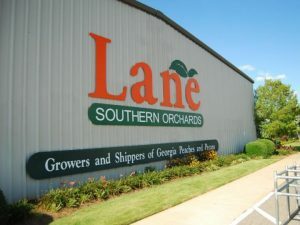 Located west of 1-75 (check out our blog on other I-75 attractions), Lane South Orchards is a fully functioning peach orchard. This is a great opportunity to visit a working farm and get some Georgia peaches. Peaches are picked, packaged, and sent off to be sold across the country. Also, for your enjoyment, a bakery and café are located on the farm. Dickey Farm is in Musella, Georgia, and is home of the “best Georgia peaches.” Out of all the peach farms in Georgia, Dickey Farm is the oldest. Since peaches are not in season year-round, Dickey Farms sells lots of other peachy treasures. Explore the farm for yourself! Next, Pearson Farm is located in Fort Valley, Georgia. This is where you can find peach ice cream. 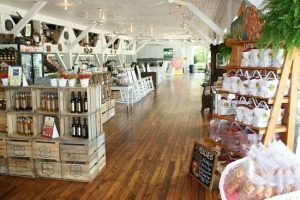 Visitors can purchase the peach ice cream all throughout the year, and the farm also welcomes visitors to visit the packing house. This farm has achieved many awards and has been featured in Southern Living magazine. 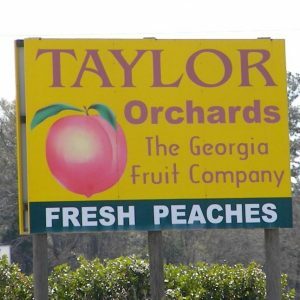 Next, Taylor Orchards is in the heart of the Georgia peach belt in Reynolds, Georgia. In addition to growing peaches, there is also a strawberry patch where visitors may pick their own strawberries. Peachy treats are available for sale all year long. Lastly, a local favorite is the Atlanta State Farmer’s Market. You may also hear this market called the Georgia State Farmer’s Market or Forest Park Farmer’s Market. At 150 acres, the market is one of the largest in the world. It has a garden center with a nursery and a retail center. 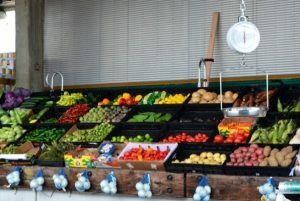 It is a major distribution point for fresh produce in the Southeast U.S. Also, there is a restaurant, welcome center, and USDA office on site. As you head to Perry for convention, it is a great idea to add some mini trips to your RV adventure. Ultimately, one of the best parts of an FMCA convention is exploring the local sites. Comment below with your plans to explore Perry.